You are currently browsing the tag archive for the ‘pig buildings’ tag. There is construction happening at Trails End Farm also, but ours is different from Schafers’. 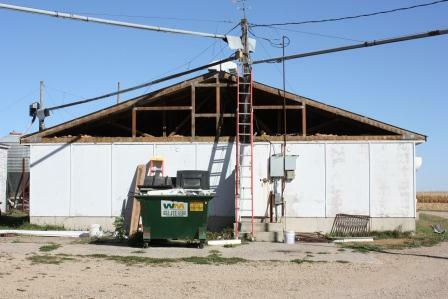 They are building new barns, while we are renovating an old barn for a new use. Currently our nursery pigs, those between 13 and 45 pounds, go to our neighbor’s site and then come back to our farm to be finished out. They are making some changes and so we are fixing up an old gestation barn (which previously had been a finishing barn) to become a nursery barn for our young pigs. 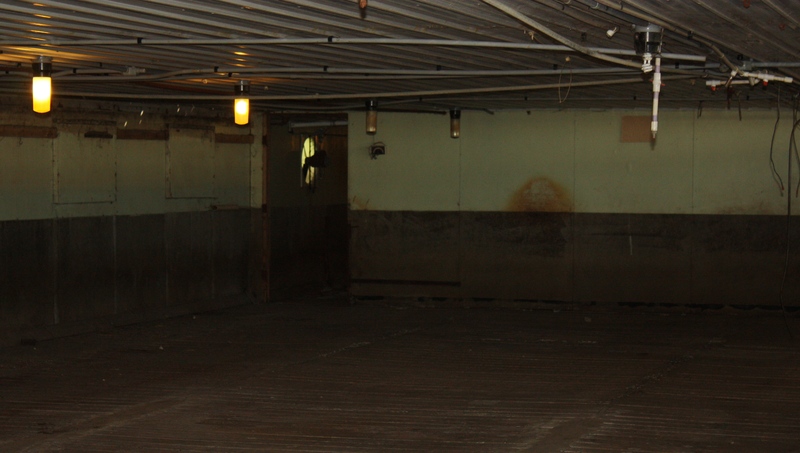 The first changes involved taking out all the gating, which you can see in this picture leaves an empty building. 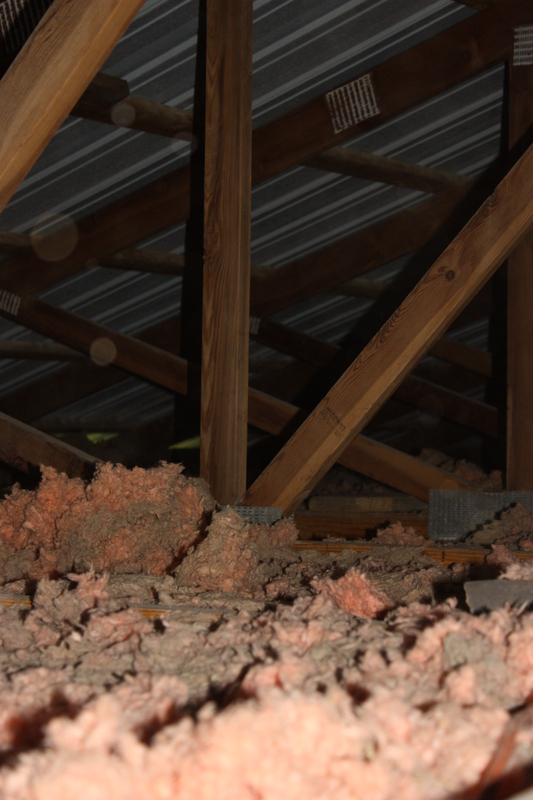 The next task is to change the ventilation so that air will be pulled through the attic and into the barn. This means the air will be warmer for the little pigs. 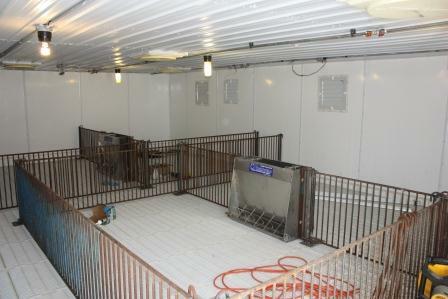 It also means we have to change the way air comes into the barn and goes down unto the pig pens. All this can be quite technical and requires planning, calculating and constructing but proper airflow is important for the pigs’ health and to get the best growth. Dale and the kids have been busy working. On the warm days it gets hot in the attic, so they need to be careful, drink plenty of fluids and take breaks when needed. So far all has gone well – no snapping turtles yet! Stay tuned and we’ll keep you up to date on the progress.